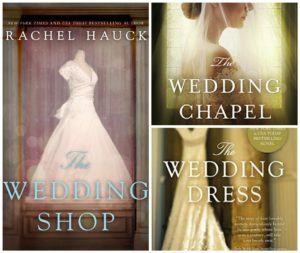 History, Mystery and Faith is pleased to be the first blog tour stop by Rachel Hauck's latest release The Wedding Shop. It’s the early 1930s, but Cora Scott is walking in stride as a career woman after having inherited her great aunt’s wedding shop in Heart’s Bend, Tennessee, where brides come from as far away as Birmingham to experience her famed bridal treatment. Meanwhile, Cora is counting down the days until her own true love returns from the river to make her his bride. But days turn into months and months to years. All the while, Birch Good continues to woo Cora and try to show her that while he is solid and dependable, he can sweep her off her feet. More than eighty years later, former Air Force Captain Haley Morgan has returned home to Heart’s Bend after finishing her commitment to military service. After the devastating death of her best friend, Tammy, and discovering the truth about the man she loved, Haley is searching for her place in life. As Cora’s and Haley’s stories intertwine through time in the shadow of the beloved wedding shop, they both discover the power of their own dreams and the magic of everyday love. The Wedding Shop is a well-written story about two women - one set in present day, the other in the 1930s. I don’t read a lot of romance novels, but I was familiar with Rachel Hauck as an author, so decided to give the book a try. I am glad I did. The characters are fleshed out, realistic individuals with dreams, strengths and struggles I can relate to. Initially I wanted Cora to be more confident, then I realized she is a product of her times (1930s), and the perfect counterpart to Haley (a former Air Force Captain). I loved Charlotte Malone, who was the protagonist in book one and plays a secondary role in The Wedding Shop. She is an intelligent, big-hearted woman filled with wisdom. At one point she tells Haley, “You can’t let your past define you, or your future...What you did isn’t who you are now or who you’ll become. Isn’t that the point of the cross?...You can’t punish yourself into righteousness.” I finished the book in two sittings, and the characters have stayed with me long after I turned the last page. I received a free copy of this book in exchange for my honest review. Hey everyone! I’m so excited to share The Wedding Shop with you. This book is one of my favorites. While all books are my “babies,” this one found a special place in my heart. 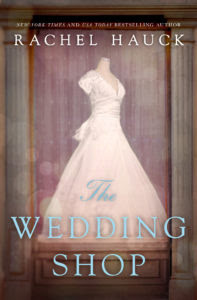 This standalone novel is part of the Wedding Collection – The Wedding Dress and The Wedding Chapel – and it came to life when I discovered the story of Cora Scott, a 1930s wedding shop owner. At 30, she’s an old maid, but the best “bride’s maid” in fictional Heart’s Bend, Tennessee. But she’s in love with a charismatic, charming river boat captain. The contemporary heroine, Haley Morgan, is a retired Air Force captain returning to Heart’s Bend to restart her life. She’s recovering from a broken heart. The handsome, dynamic, charming man she loved was nothing but trouble. Returning home, Haley is set on keeping a childhood promise she made with her best friend—to open the old wedding shop. The shop is legend in Heart’s Bend. Haley grew up with stories of Miss Cora and the shop, hearing the town’s mothers, grandmothers, and great grandmothers reminiscing about their “day in the shop,” walking down the grand staircase in their wedding gown. But in 2016, the shop is dilapidated, neglected and in need of more money than Haley possesses. While writing this story, I had to ask a lot of questions. Why reopen the old shop? Why not just open a new one? Haley was a combat veteran, deployed to Afghanistan twice, why would she want to open a wedding shop? I also investigate the meaning of the shop to the town? To Cora? To Haley? As I developed the backstory for the characters, the shop and the town, Cora’s came to life. She fascinated me. I admired this fictional woman. She exuded ingenuity, courage, and deep, deep devotion. On the other hand, Haley was a bit of a mystery but from the start, she saw value in something no one else did. What if we all saw value in people or places others wanted to reject? Isn’t that what Jesus does for us? The heroes of the book, Birch and Cole, are just stellar guys. Princes among men. I love writing about slightly wounded but strong and tender men. The theme of family and community populates the story. Also, how misconceptions and preconceived ideas often ruin relationships. There’s a lot of fun drama in this book! I hope you enjoy spending time with Cora and Haley, the men they love and the shop they bring to life. I’d love to hear your thoughts! 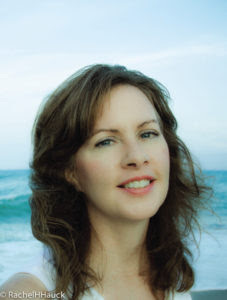 Connect with me at www.rachelhauck.com. LOVED this book!! I only entered the giveaway to be able to giveaway to another person. (I have already given one copy of each away.) Thanks for the great interview! Would love to read this. TY for the chance. I'm reading Princess Ever After now. I love it. I would enjoy the opportunity to read this one. I would LOVE to read The Wedding Collection Series! Thank you for the chance!